Whenever you are in a gambling frame of mind you are going to have a huge range of different gambling opportunities available to you no matter where you are in Great Britain, and to help you get a much greater understanding of the range of land based casinos and online casinos that will be on offer to you we have put together a large range of casino related gambling guides on this website. This particular guide is going to be covering Coventry, and as such if you are living in Coventry or are visiting that city soon and you want to know where the local land based casinos are situated then this guide is going to be worth reading through. However, if you would like to test out any of the many different casinos you can access and play online then we will be also taking a look at what you can expect when you sign up to such a site. You do of course need to be over the age of 18 to legally gamble either online or in a land based casino, and with that in mind and as there are also lot of other laws surrounding legalised gambling we will be covering that topic below too. If you are undecided whenever playing casino games is going to be something you enjoy doing or have any additional questions you would like to find the answers to we are confident you will find out everything you need to know below. Coventry is one of many Cities in England and has a population of around 316,900 people, being a major City there are many people who do visit each year and below is a video of what is on offer if you do fancy visiting. When visiting Coventry you will find there are many places you can gamble in and those include lots of betting shops and betting offices, amusement arcades and of course land based casinos too. If you do live in Coventry or you are visiting Coventry you will need to be over the age of 18 to be able to legally enter a casino and gamble there. Be aware that there are other forms of gambling under 18’s can partake in when in Coventry and those include buying scratchcards and playing the National Lottery and playing low stake fruit machines in amusement arcades too. One thing that you will need to have on you is photo I.D. be able to gain entry into a casino in Coventry and when playing at an online casino you will be required to supply some form of identification to the casino site you are playing at that has your name, age and current address printed upon it. The top and most visited land based casinos in Coventry are listed below, if you are planning a trip to Coventry then you are going to find plenty of different casino games are available to you at each of the following casinos, but you will need to be over the age of 18 to gain entry to any Coventry casino venue. There is just one casino in and around the Coventry area, and below you will find all of the contact details of that venue which will come in handy if you are thinking of going there. Any Coventry land based casino needs to have the relevant planning permission and licenses for that venue as issued by Coventry City Council. You will also find you can play at many online casinos and mobile casinos some of which are licensed by the Gibraltar Gambling Commissioner. Playing at a mobile or online casino in Coventry will see you also being able to access and play a very large range of different casino games many of which may have designed by Playtech. 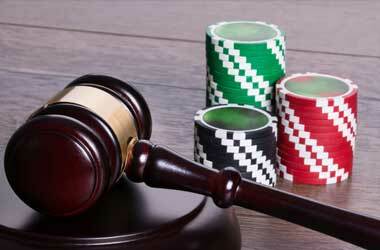 All forms of gambling in Coventry are regulated and licensed by the UK Gambling Commission. If you have any questions regarding any form of gambling in Coventry or wish to make a complaint about any casino or gambling establishment in Coventry then you will find information on how to do so on their website. This final section of our guide to Coventry land based casinos and also casinos that you can access online in Coventry is going to be answering a range of additional questions that you may be seeking the answers too, so please do read on. If you want to visit a land based casino in Coventry you will be best advised to check the respective website of the casino you wish to visit for information on their opening times and also the range of games that you will be able to play there too. What gambling budget should I take into a land based casino? Only ever take with you an amount of cash that you can afford to gamble with when paying a visit to a land based casino, as you will find it is very easy to get carried away playing each machine and that is something you will never want to do as you could spend a fortune when gambling in such a venue if you do not keep a level sane head! Can I play 3 card poker games in a land based casino? It is not only going to be slot machines and gaming machines that you can play in a land based casino and as such if you are a fan of playing card games such as 3 card poker then you will be pleased to learn that 3 card poker games are often available in many land based casinos. When playing 3 card poker games you will find a range of different table stake limits will be on place on those table games so you will be able to afford to play them! Is the Cleopatra II slot available at online casinos? IGT have designed the Cleopatra II slot machine and that means you will be able to play it online, there are lots of casinos that do offer the Cleopatra II slot game so you will have no difficulties finding one to play it at either for free or for real money. The Cleopatra II slot from IGT does offer a high variance type of playing structure, which means any spin, could be a huge paying one but the best aspect of the Cleopatra II slot is that it has been designed to payout over the long term 95.13% as its payout percentage, so do give it a try when you can! Can I eat and drink when playing in a land based casino? You will only be given the option of drinking soft drinks and beverages at a land based casino when you are playing any of the games on offer, snacks may also be available to you too, alcoholic drinks will be available but you are not permitted to drink on the gaming floors and can only drink alcoholic s drinks in the bar areas or in the restaurant! If you are prepared to do a little bit of travelling around the Coventry area, then you are going to have access to several different casinos. Keep in mind that the range and type of games that will be available in each land based casino will vary from casino to casino, so do also checkout each casinos website to find out just what games are on offer to you! The Great Meeting House, 116 Holyhead Road Coventry, United Kingdom, CV1 3AE is where you will find a Gamblers Anonymous meeting being held if you do feel that you cannot control your gambling and live in or around the Coventry area, and you can get the dates and times for that meeting and full directions to that venue from the GA website.